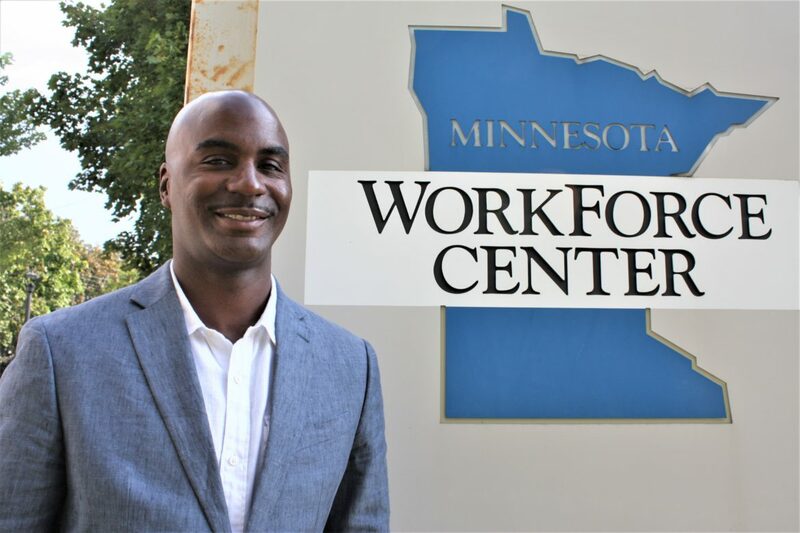 Minneapolis solar entrepreneur Jamez Staples is working to open a clean energy training center in his underserved and racially diverse neighborhood. The 39-year-old solar entrepreneur recently bought and is working to reopen a shuttered state workforce center as a clean energy job training hub in an area of town that’s long been isolated from such opportunities. Meanwhile, his company is developing a community solar garden and microgrids to provide electricity and educational opportunities to local public schools. The ambitious vision for the North Side of Minneapolis is inspired in part by Staples’ time as a volunteer solar installer in the Virgin Islands, and it’s fueled by his relentless networking with local politicians and clean energy leaders. Now backed by a growing list of partners and supporters, the effort still faces hurdles, from fundraising to the slow pace of bureaucracy. The North Side native still lives in the neighborhood where he grew up, and where he is known by politicians, developers and nonprofits. He’s established a name for himself well beyond that geography in state clean energy circles. Staples began his career as an insurance agent before starting a business in the auto sales industry. When the Great Recession hit in 2008, he found a job in the metal recycling business. A few years later, while attending Concordia University, Staples spent time in the Virgin Islands as part of his course work. Volunteering to install solar projects on the island, he gained skills and love of the clean energy industry. Staples returned to Minnesota around the same time Gov. 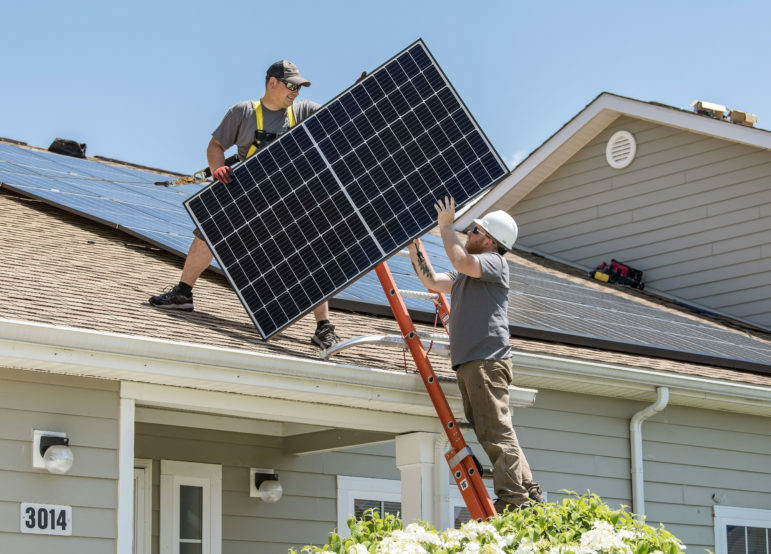 Mark Dayton signed the 2013 Solar Jobs Act bill, requiring that utilities generate 1.5 percent of their power from solar by the end of the decade. He created Renewable Energy Partners the same year and hired a few contractors to install panels on the Mayflower United Church of Christ in Minneapolis. Staples isn’t shy about sharing his vision, and as a presenter he knows how to work an audience. That’s helped him win support from the mayor, the governor, school board members, neighborhood groups and Xcel Energy, the city’s electric utility. 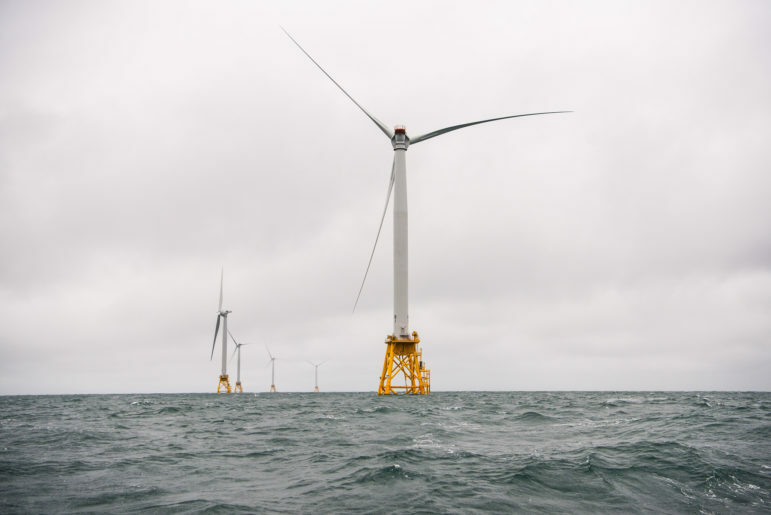 Long-time clean energy advocate Michael Krause, president and director of strategy and new projects at Kandiyohi Development Partners, has consulted for Renewable Energy Partners. Staples faces considerable challenge in developing his business and projects, from strict rules for solar installations to government agencies that fail to take into account minority participation. 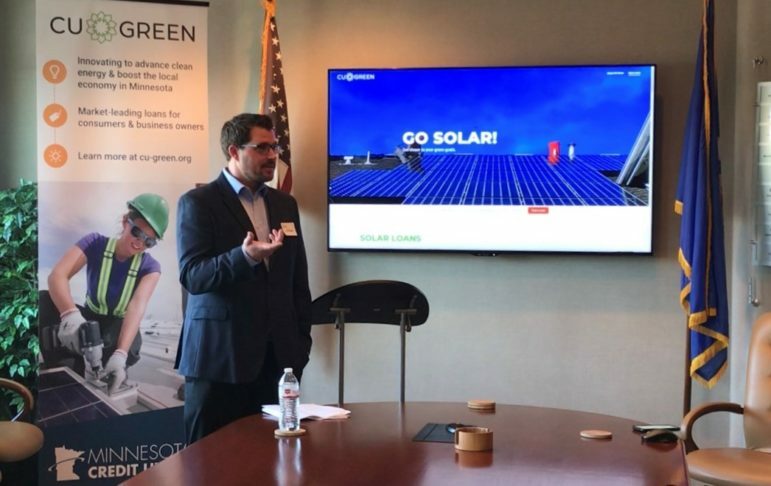 Public agencies buying solar garden subscriptions, for example, often support non-union projects in distant suburbs without small business or minority hiring goals, Krause said. “One of Staples’ main contributions has been forcing people to rethink their strategy and start considering every single investment in sustainability, greater resiliency and clean energy is an opportunity to address poverty and environmental justice issues,” he said. What differentiates Staples’ from other solar developers is his “community centric” approach to his projects. Outside groups have come in with ideas to “fix the neighborhood” and residents have grown tired of hearing of solutions they never asked for, he said. By Staples’ own admission, his frankness about disparity can make notoriously polite Minnesotans uncomfortable about how race, training and location can play roles in determining career opportunities. While not everyone he meets enjoys such honesty he’s willing to call out supporters in governments and schools who cheer his ideas yet fail to offering any financing to get them off the ground. Together with Krause, however, and a legion of supporters he figures he has a fighting chance to make a difference. In 2017, the city of Minneapolis inked a deal with Renewable Energy Partners to buy power 20 percent of the power produced by a 1 MW project on the roof of North High School. The rest, said Staples, will be sold to Minneapolis Public Schools and low- to moderate-income North Side residents. Still in the engineering phase, the high school solar installation and a microgrid to go with it should be finished next year and serve as an educational introduction for students to solar industry opportunities. Staples recently attended the Rocky Mountain Institute’s E-Lab Accelerator to solidify planning for a second solar-powered microgrid that will connect several North Side schools and the district’s food preparation center. 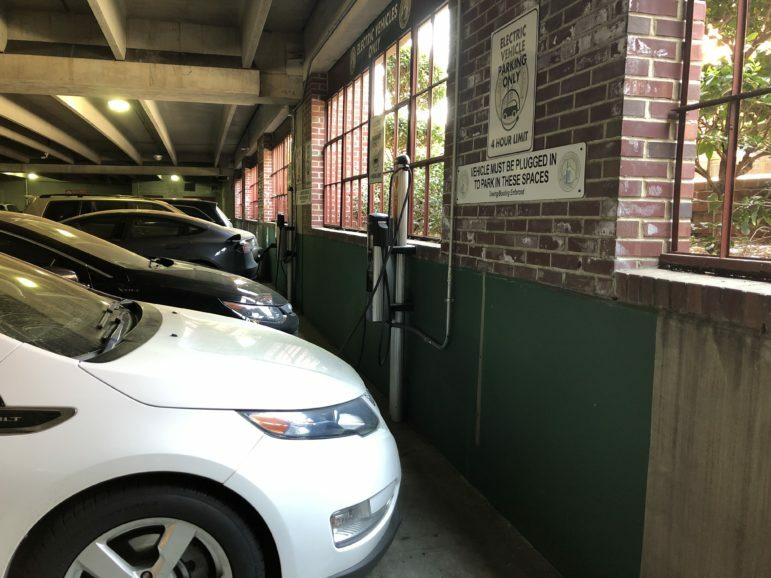 The project is slated to serve as an anchor to a proposed “East Plymouth Innovation Corridor” or EPIC, to jumpstart clean energy and sustainable business development in the neighborhood, and also involves Anderson, the city, Xcel Energy, and the tech firm Open Access Technology International (OATI). The microgrids, which at some point may be linked, strive to achieve several goals at once, including reducing schools’ energy costs, highlighting a growing industry for students. Part of installation will be devoted to community solar for low-income residents. And the microgrids could add resilience for the North Side in the event of a major grid disruption — the neighborhood still remembers the years-long recovery after a 2011 tornado. 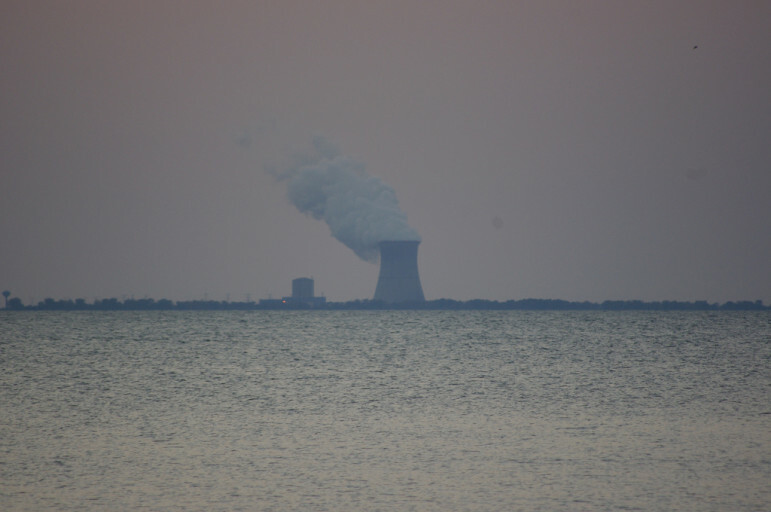 The technological approach is also far reaching for the multi-megawatt project. 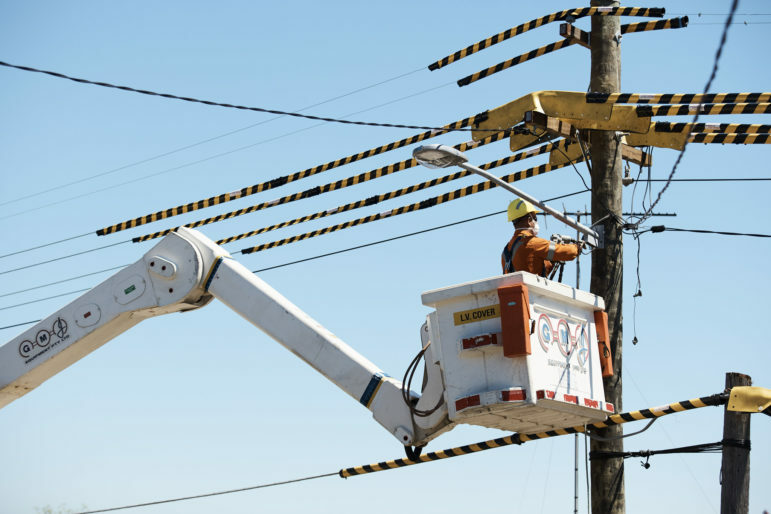 The idea of using existing distribution lines to create the microgrid, which will include the North Community High project as a stand-alone project, has rarely been attempted, Anderson said. “This is very innovative in Minnesota. We have very few microgrids out there and none at this scale, and none that I’m aware of built on a design of incorporating equity and community benefits,” Anderson said. 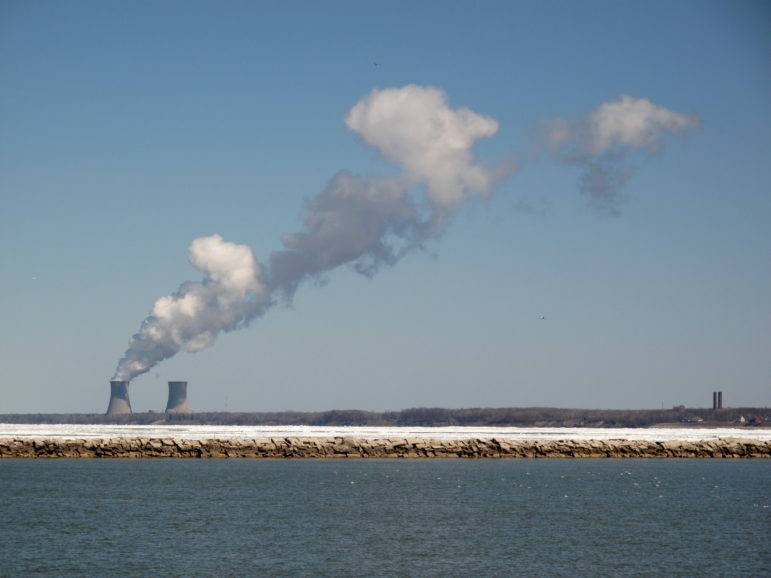 The U.S. Department of Energy has favorably responded to a proposal to fund the project, she added. Over the years, Staples discovered a major obstacle to training solar installers: the distance from established educational centers and long transit commutes. The Minnesota State Colleges and Universities’ campuses with solar classes, as well as the electrician’s union training center, are in distant suburbs with little access to mass transit. His vision calls for the vacant 22,000 square foot building to become a career and vocational technical training center for high school students looking for opportunities in Minnesota’s growing clean energy economy. The center would likely include classes in other emerging and sustainable technologies, such as artificial intelligence, green infrastructure and drones. A year ago, he used a private loan to buy the workforce center site for $1.6 million, a risky move considering the money needs to be repaid in the near future. His model for the training center is the Career and Technical Education Center at Heintz in Rochester, 90 minutes south of the Twin Cities. A collaboration of the city, the public school system, a state university, community and technical college, the center teaches one or more courses to nearly 1,600 students from three high schools. The Rochester initiative does not offer courses in clean energy, instead focusing on several areas from agriculture to manufacturing. Staples believes his Minneapolis Apprenticeship Training Center could cover many of the same subjects yet include a clean energy component. Vocational technical training helped Rochester improve graduation rates of all students and the same could hold true of Minneapolis, he said. A Minneapolis study in 2013 showed career and technical education boosted graduation rates by 11.5 percent higher than their peers; the gains among minorities were much higher. While garnering plenty of support from local political, business and education leaders, he still faces an uphill climb. Staples’ idea is to lease the building to the school district, and while he has supporters on the school board, the district currently faces a severe budgetary crisis. Another challenge is that the school district, business community and other public officials supporting Staples’ effort are unaccustomed to working together on a project this complex, said Rebecca Gagnon, an at-large school board member. Many supporters “work in silos and this project is requiring that we come together, and that is a wonderful and difficult thing,” she said. The training center has been a passion of Staples for years and his concept has evolved as regulations forced a change, Shaffer noted. State law requires one licensed electrician for every two unlicensed solar installers, one of the highest ratios in the country, he said. There’s still a need for trained installers, he said, but perhaps not as large as previously anticipated. 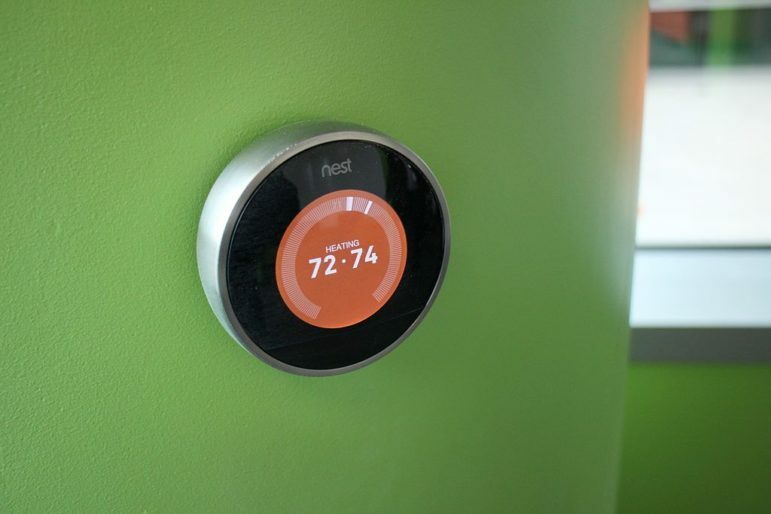 The City Council is expected to pass an ordinance giving homebuyers and renters access to more energy information.